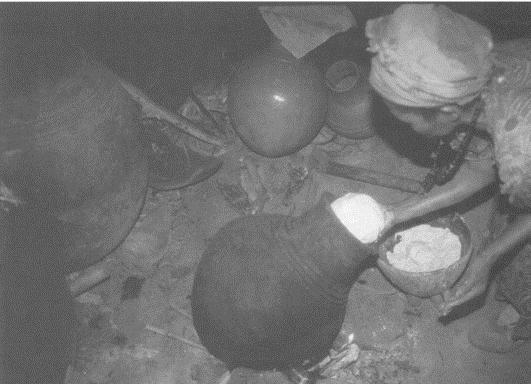 A Gamo woman makes beer by putting beer dough into a jar to boil with water. 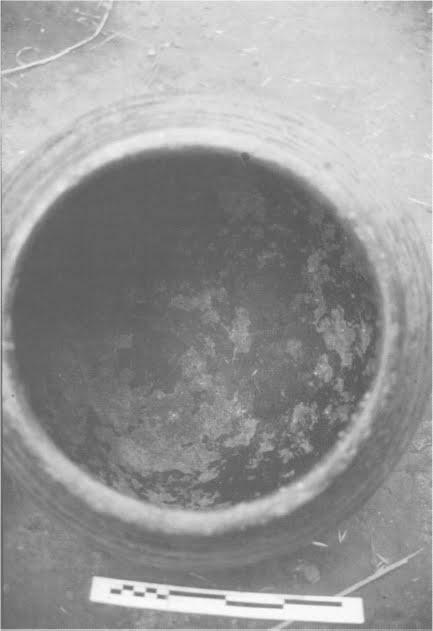 Large jar showing severe interior surface attrition caused by the Gamostoring beer. 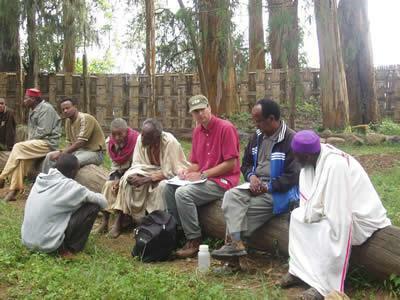 John Arthur (center, in green hat) talks to members of the Gamo in Ethiopia. 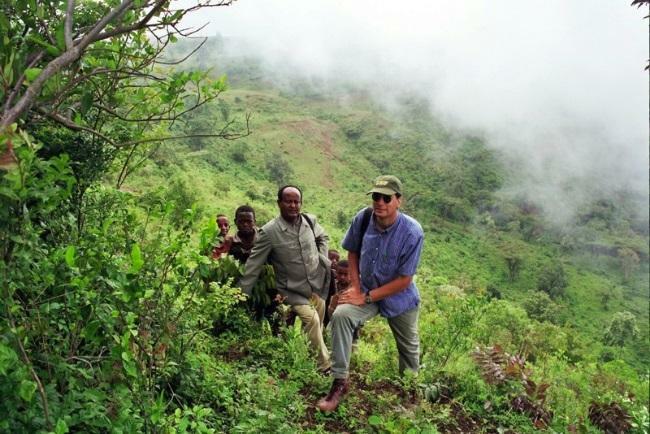 In the last 20 years, Arthur has paid over a dozen visits to the Gamo people of southwestern Ethiopia, an area that he describes as "the exact opposite of what most people think of Ethiopia." 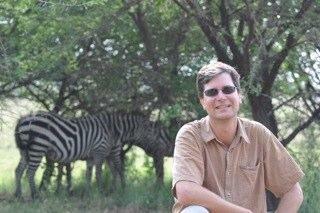 Instead of an arid desert, the Gamo live in lush highlands that extend around 9,000 feet above the nearby Rift Valley. Because the earliest written mention of beer is only from about 4,000 years ago in Mesopotamia, researchers like Arthur look for earlier 'records' of beer in pottery. 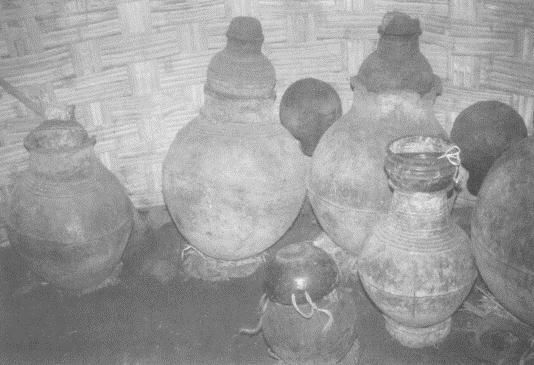 Some pottery from as far back as 5,000 to 9,000 years shows signs of erosion that indicate beer was brewed and stored in them. The beer in the region hasn't changed much over time, and is unlike any you've probably ever had before. For one, it has very low alcohol, only 2 to 4 percent. That keeps the amount of bacteria down, making beer, in some places, safer to drink than the water. In addition, it's high in protein and vitamins. 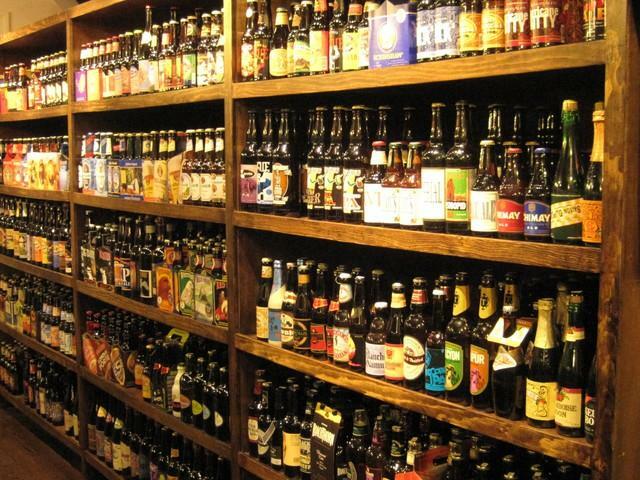 As a result, in some developing countries, beer is viewed as a food staple, similar to bread. All that being said, you still might not want to take a taste. Arthur says most of the beer is very sour, and despite the lack of bacteria, it still is grainy, with things you probably don't want to drink floating on top. The generally accepted thought is that man stopped living a nomadic hunting-and-gathering lifestyle to take on a more agrarian way of life, growing grains for breads. But what if those grains were instead used to make beer? Again, beer was - and in some places, still is - both a staple of life and an important trading commodity. And, at the time mankind adopted this lifestyle, beer was healthier than unleavened bread. 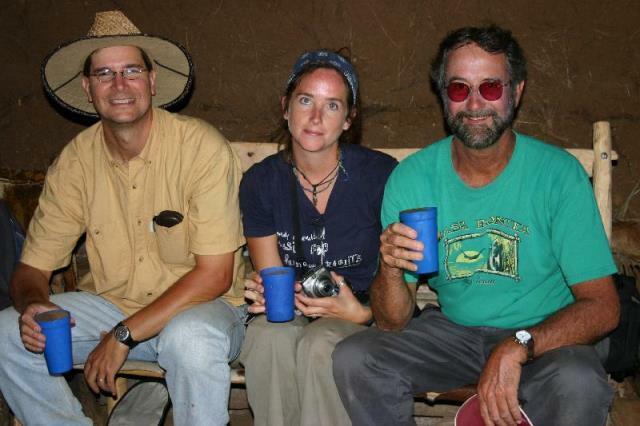 Arthur is continuing to research this theory, with a goal of returning to Ethiopia in two years and excavating a number of caves dating back 6,000 years. Among other things, he hopes to see more definitive signs of how the Gamo people used beer. Depending on what he finds, we might just see that, even thousands of years ago, beer was making mankind do things that we'd never imagine we would. If you're celebrating the Fourth of July with a beer in hand, you're not alone. A new ranking released today by the Beer Institute places Florida at number three nationwide in beer consumption. California and Texas ranked higher. Almost 13 million barrels of beer were shipped to Florida last year. Even though Florida might have chugged the third most barrels of beer, it ranked 34th in consumption per capita. University of South Florida researchers unearthed the remains of two children buried at a former Panhandle reform school that had a history of extreme abuse, and the bones will be analyzed in hopes of identifying the children and determining how they died, the anthropologist leading the excavation said Tuesday. 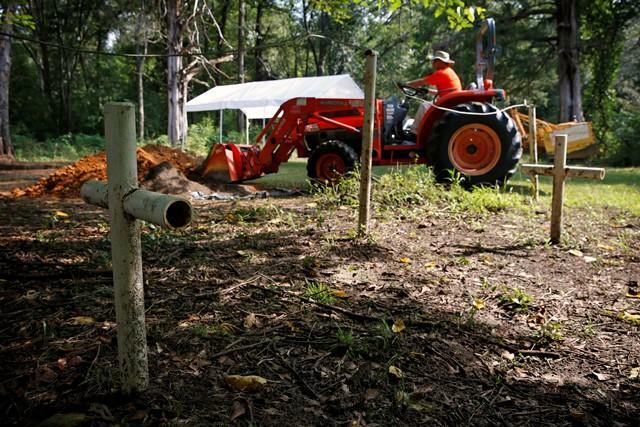 Based on the size of the remains, the children probably were between the ages of 10 and 13 when they died, said Erin Kimmerle, the USF professor who is heading the project to exhume an estimated 50 graves. 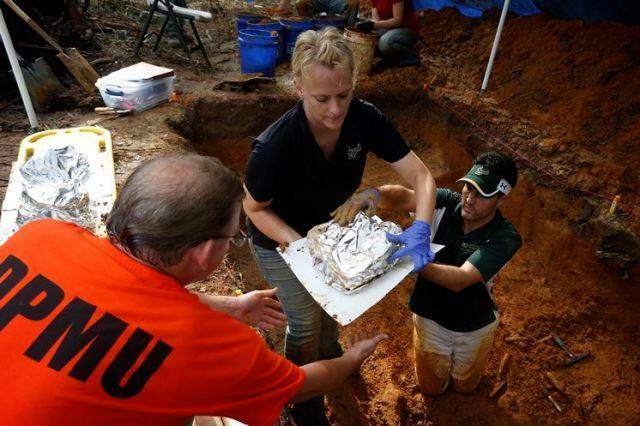 USF anthropology PhD candidate Meredith Tise speaks to WUSF 89.7 News' Mark Schreiner about this past weekend's exhumations of two sets of remains at the Dozier School for Boys in Marianna, FL. 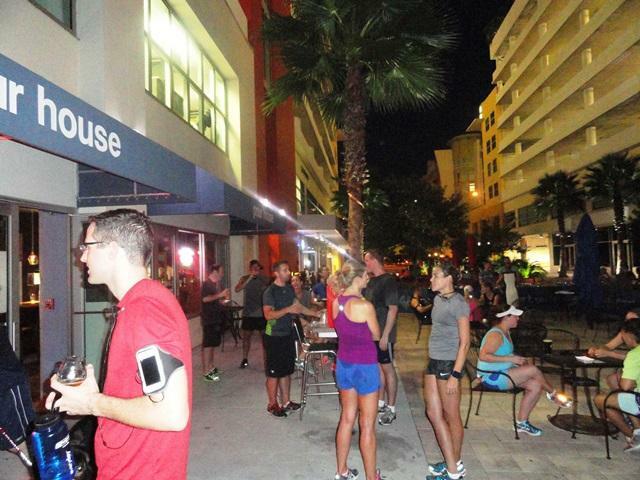 Take a non-competitive three mile run, add in a few microbrew beers (or wine, if that's your poison), mix in new friends, and you have the kind of fun night a number of Tampa Bay area bars and fitness stores are getting behind. These "running social clubs" aren't really a "pub run," that kicked-up version of a pub crawl where participants run from bar to bar, but a weekly gathering of people with good health and socializing on their minds. Either put on your running shoes, or pour yourself a cold one, as WUSF's Mark Schreiner takes part in a pair of runs with some Tampa "running social clubs." Researchers have begun exhuming remains from unmarked graves at a now-closed Florida reform school. Former residents of the school say brutal beatings were routine, and they believe many boys died as a result. At least 50 grave sites have been identified, and it is believed that there may be many more. Several families of boys who died there are demanding answers. From Mariana, Florida, NPR's Greg Allen reports that researchers hope to determine how many boys are buried there in unmarked graves and how they died. The Tampa Bay area is the state's epicenter for the craft brew scene -- but neighboring Lakeland is not being left out of the scene. The city has plans for a new brewery cooperative, which would help local, small brewers reach bigger markets. 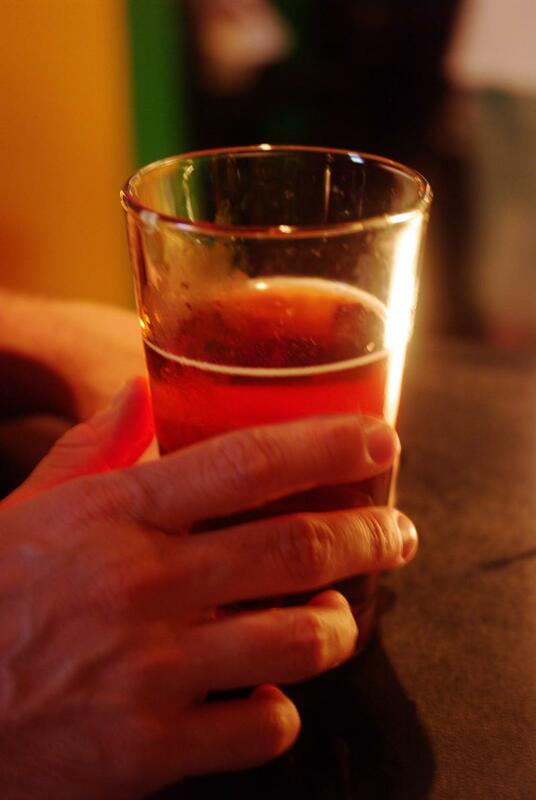 And there's a lively craft brew scene popping up in Lakeland's restaurants.